It's almost the school holidays so it's time to get your Junior Rangers signed up for Ranger duty or older pre-teen rangers signed up for our new Te Kakano programme. Pukaha can help keep the kids busy with our hands on, interactive school holiday programmes. Junior Rangers can report for duty these school holidays, every Monday/Tuesday and Thursday/Friday. There will be no Wednesday Junior Rangers programme as Te Kakano our Ranger programme for the older kids will run on Wednesday's from 11-3. 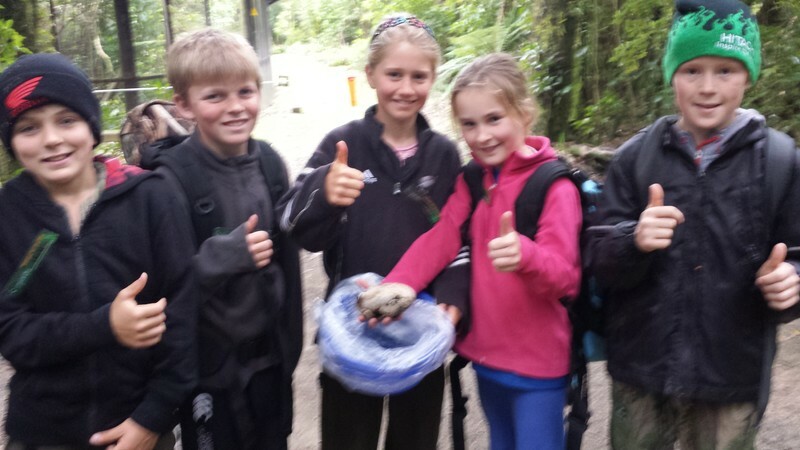 Our Junior Rangers and Te Kakano team get in behind the scenes with the Pukaha Rangers and learn about caring for our birds and our forest. We will look at our insects, plants and eco-systems. On their first Junior Ranger duty they will collect a Junior Ranger conservation action booklet. Completed conservation actions can earn rewards. They might even become a Pukaha Conservation leader. Te Kakano -for the older kids takes it up another level and get hands on with our tracking & Trapping programme and wildlife team. Our ranger guides are great at coming up with fun activities to suit the conditions but a Junior Rangers motto is " Be prepared" as we go snow, rain or shine! Come and help make a difference with us. $30 per child per day (age 5 - 10 years old for Junior Rangers ). Junior Rangers includes a packed lunch from the Kaka Cafe (filled roll,fruit, homemade biscuit) plus water. $20 per child per day (age 10-14 years old for Te Kakano). Does not include a packed lunch so they must bring their own. We prefer the Junior Rangers join our programme without their adult however when you bring your Junior Rangers to Pukaha you can enjoy a FREE coffee in our Wild Café and go and enjoy a walk around the park for half-price while waiting for the Junior Rangers to come off duty. Spaces are limited and bookings are essential. Book now at info@pukaha.org.nz or give us a call on 06 375 8004.